China bets big on IIoT to increase productivity and to automate manufacturing. A new report from GSMA Intelligence has shed the light on the fact that China is poised to lead the global Industrial IoT (IIoT) market and the region could have as many as 4.1bn of the 13.8bn global IIoT connections estimated to exist by 2025. The report, titled 'The Industrial IoT in Greater China', draws on interviews with a number of mobile operators in the region including Asia Pacific Telecom Group, China Mobile, China Telecom, China Unicom, Far EasTone and Taiwan Mobile to show how the combination of fast internet speeds, data analytics, AI and IoT is transforming China's industrial sector. China's government is a major driving force behind the country's adoption of the Industrial IoT. Back in 2015, the country's government outlined its 'Made in China 2025' strategy, with the aim of boosting manufacturing innovation, including IoT, smart appliances and high-end consumer electronics. The strategy is intended to transform the country from “a manufacturing big house” to “a manufacturing super house” over the next 10 years. At that time, the government also unveiled its 'Internet Plus Action Plan' to integrate traditional industries with the internet to create a new engine for economic growth by bringing together the mobile internet, cloud computing, big data and the IoT with modern manufacturing. 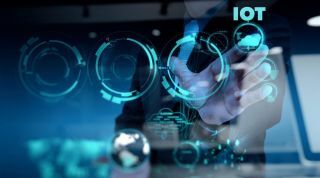 China's mobile operators will also be integral to the development of the IIoT and a strategic partner for cities, governments and other organisations. The GSMA's Internet of Things Programme is currently working closely with all of the country's operators to support and help accelerate the delivery of new IoT solutions such as Low Power Wide Area (LPWA) networks like LTE-M and NB-IoT that will play a key role in the development of 5G networks and also 'massive IoT' which will enable smart cities and industrial automation.